Homeowners often need reliable information to make informed decisions about home repair. Before a Storm . . . 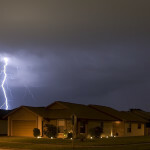 There is no inherent issue with the patter of rainfall that should alarm a homeowner. A well-maintained home will keep you comfy, warm and dry during a rainstorm. But regular upkeep is sometimes needed to combat normal wear and tear. But unfortunately, cost-effective maintenance on many homes is overlooked, resulting in more expensive repairs later on. Proper drainage is essential for guiding water away from a home’s foundation and is often key to preventing costly home repairs. When a foundation water can build up behind the foundation wall. Over time, the pressure can force a foundation to crack and/or buckle a retaining wall. Many drainage issues are due to clogged or leaky rain gutters. A gutter need to be angled, or pitched, in the direction of the downspout for water to flow through it properly. If your gutters are angled appropriately, there should be no standing water after a heavy rain. But if water is present, you can realign a gutter by bending the hanger or rehanging it. If water still pools after adjustments, use a gutter extension to move the run off away from the foundation. Rain gutters should be cleaned twice a year. Start by clearing any blockage, but also look for indicators — holes, rust, leaks, dents — that your gutters may not be working properly. If a problem is identified, take action before the next rainfall. 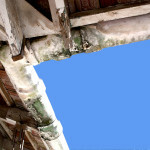 A roof’s fascia, the vertical edge that connects to the gutter, can be damaged by excess water caused by a blocked gutter. The fascia’s role is to protect the roof and home’s interior by preventing watering from entering it. Excess water can also damage the soffit, the exposed surface beneath a roof’s overhang. Importantly, small holes in the soffit help to ventilate the attic, drawing heat and moisture away from the home’s interior. In other words, a damaged soffit can cause moisture problems on the interior of a home. Monitor drainage. Make sure downspouts from rain gutters are several feet away from the foundation and check for standing water. Inspect Grading. A home should be graded so water slopes away from the foundation. Drains should be at a lower elevation or empty into a gravel-filled catch basin. Reposition Gutters and Extend Downspouts. If water puddles near the house, a downspout maybe out of alignment. Increasing the grade of the gutter can eliminate standing water and prevent water damage to a foundation or basement. Environmental: Fossil fuels are used by power plants to generate energy for HVAC systems. Fixing a leak will reduce energy use and indirectly decrease a power plant’s fossil fuel consumption and lower CO2 emissions—the main cause of global warming. Health & Safety: Household appliances emit carbon monoxide and other harmful gases. 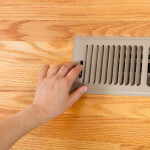 When a furnace has a leaky duct, carbon monoxide is drawn back into the home, a process called backdrafting. If you suspect that gas is not being properly vented outside, and your smoke and carbon monoxide alarm goes off, call 911 or the fire department. 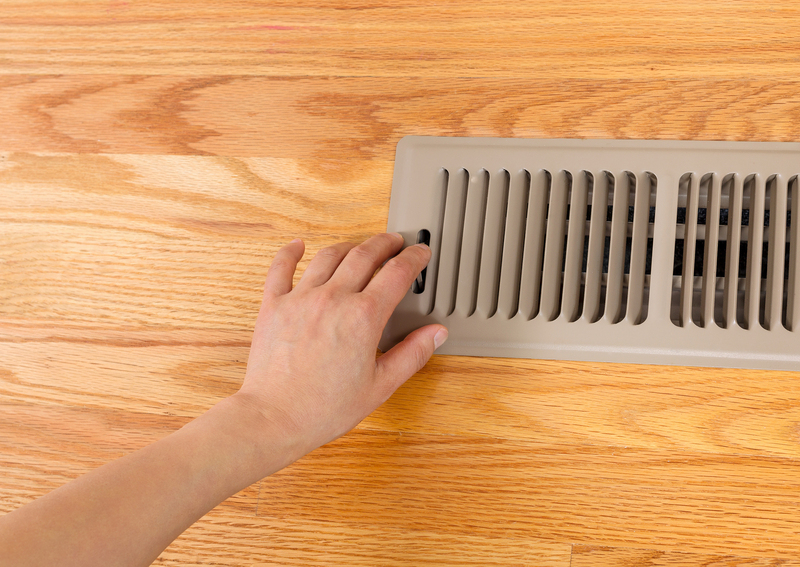 Sealing leaky ducts can also prevent dust particulates from circulating that can aggravate asthma and other allergies. Comfort: Ducts allow a room to heat up or cool down properly. Feeling a bracing chill even with the furnace on? It may be leaky ductwork or the system is not properly insulated. Fixing the duct will provide relief. What Exactly is a Duct System? A duct system, or ductwork, is a series of branching tubes, typically metal, or aluminum, but sometimes fiberglass, which branch out from your Heating, Ventilation, Air, and Conditioning (HVAC) system. When you turn on your thermostat, a forced-air furnace blasts warm or cool air into your home through a series of vents, usually one in each room. Ducts leaks from holes, tears, or poorly attached duct sections or lack of insulation can account for a 20% energy loss in a home. Problems identifying a loose or leaky duct, however, can be exacerbated because ducts are often found in hard-to-reach places like behind walls, attics or in a crawlspace. Therefore, detecting the source of a leak yourself may be difficult. Do It Yourself? Those who enjoy embarking on DIY home projects over the holidays can certainly do minor duct repairs such as patching a small leak with mastic, a very strong adhesive. A duct can also be sealed with an aerosol technology. This technology is safe, has no off-gassing and lasts 10-plus years; it works especially well when a leak is hard to find, such as one between a floor, a wall or a ceiling. For most situations a combination of mastic and/or an aerosol sealant should work effectively. But in these situations, that is, ones in which a leak may be hidden, it makes better sense to get your home evaluated by a professional. Read More. We expect our central heating and air systems to work perfectly all the time, and most often they do. But when your furnace stops working efficiently—and winter sends an unsuspecting chill into your home—what should you do? Interestingly, when this happens, almost-never thoughts of ducts become daily thoughts, until the problem is resolved. With the chiller days of winter fast approaching, a cold home caused by a malfunctioning duct system will cause discomfort for many Bay Area homeowners. The solution can vary, but it makes most sense to call a professional to get your system evaluated. A noticeable stuffiness in a particular room . . . . Is the air circulating at all?